Are you ready, Beliebers? 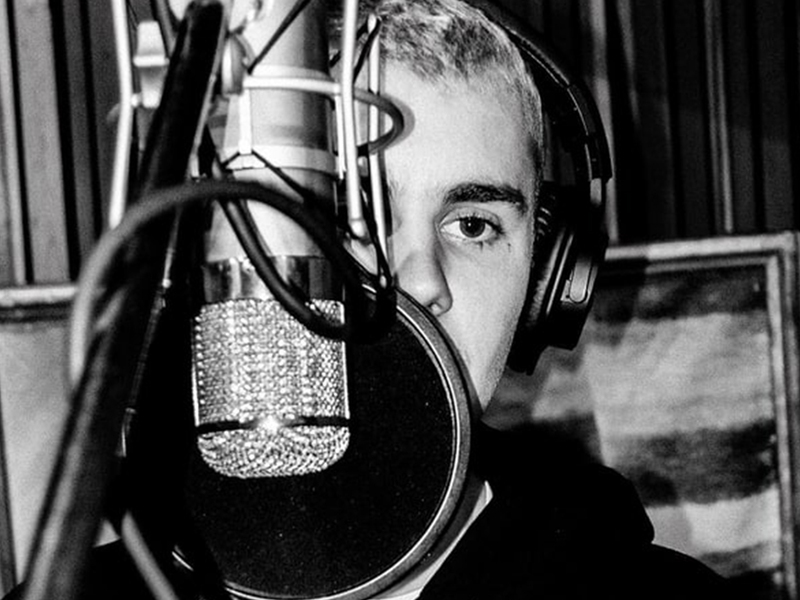 Justin Bieber shared a series of photos from a recording studio on Wednesday, April 12, and fans could barely contain their excitement. The “Love Yourself” singer, 23, posted four captionless, black-and-white snaps on Instagram as he recorded new music. 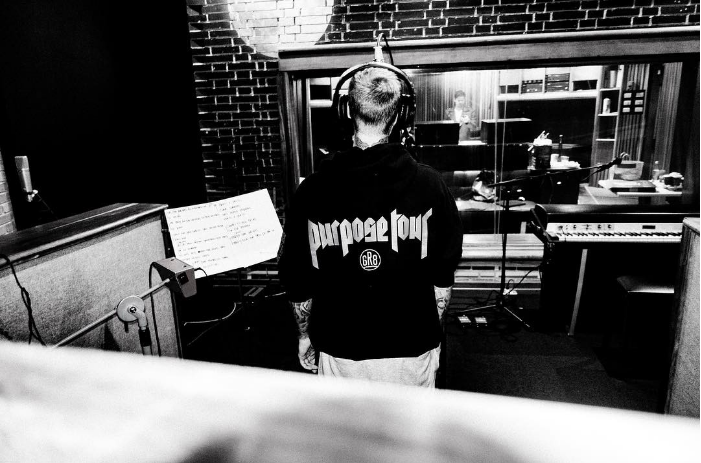 In each shot, he wears a black hoodie emblazoned with his Purpose world tour logo on the back and a pair of gray sweatpants. 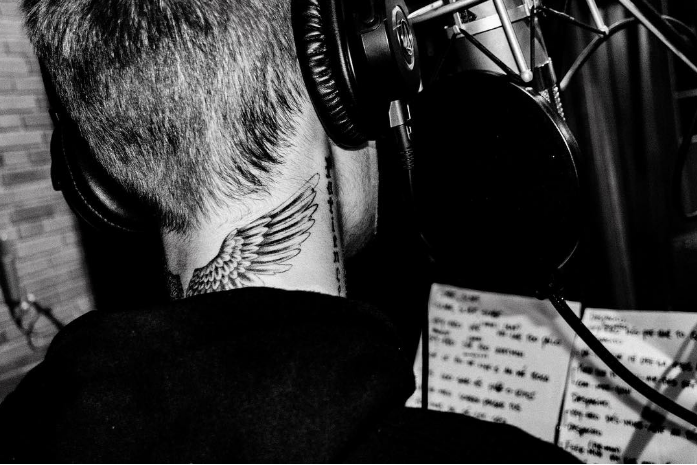 It is unclear if Bieber was recording music for his long-awaited fifth studio album or for another project. 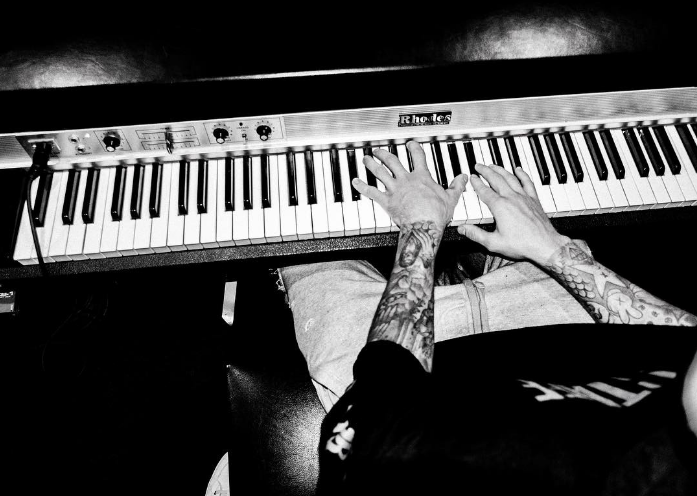 In the pictures, he is seen singing into a microphone and playing a piano inside the studio. A sheet of song lyrics is also spotted, though the words are blurred out to avoid spoilers. The Grammy winner’s longtime manager, Scooter Braun, reposted one of the images on his Instagram page. “The world has no idea!! @justinbieber,” he teased. Naturally, Bieber’s dedicated fans nearly lost their minds over the possibility of new music. “I’M READY,” one Instagram user commented. Another added, “I’m sensing new music and I don’t think I am ready at all, I think I am going into shock. The “Believe” singer’s most recent album, Purpose, was released in November 2015 and included hit singles including “What Do You Mean?” and “Sorry.” The LP was nominated for Album of the Year at the 2017 Grammy Awards, but Bieber skipped the ceremony. Next article“EXTREME” MUSIC LEADS TO CALMING? REALLY?